Meet Kartik Sawhney, a blind student who has scored a 95% aggregate in science with computers in class XII. !!! Shunned by IIT, he is now off to Stanford University. Meet 18 year old Kartik Sawhney. His father owns a store in Lajpat Nagar, his mother's a homemaker and he has a twin sister and an elder brother.After acing his class XII CBSE exams with a 95% pass percentage, that too in the stream considered challenging by many i.e. Science with Computer Science, Delhi boy is all set to attend Stanford University to study computer science. 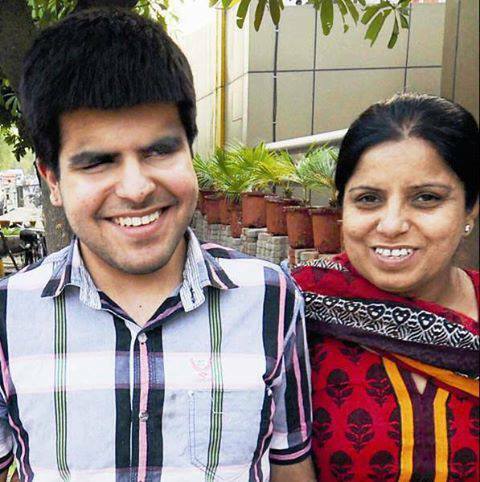 He would have preferred to complete his education in India in the prestigious IITs, but depressing guidelines of IIT JEE denied him a chance to appear for the exam, because he is vision impaired. Disabilities cant stop us from achieve something in life.Its all about the determination you posses.